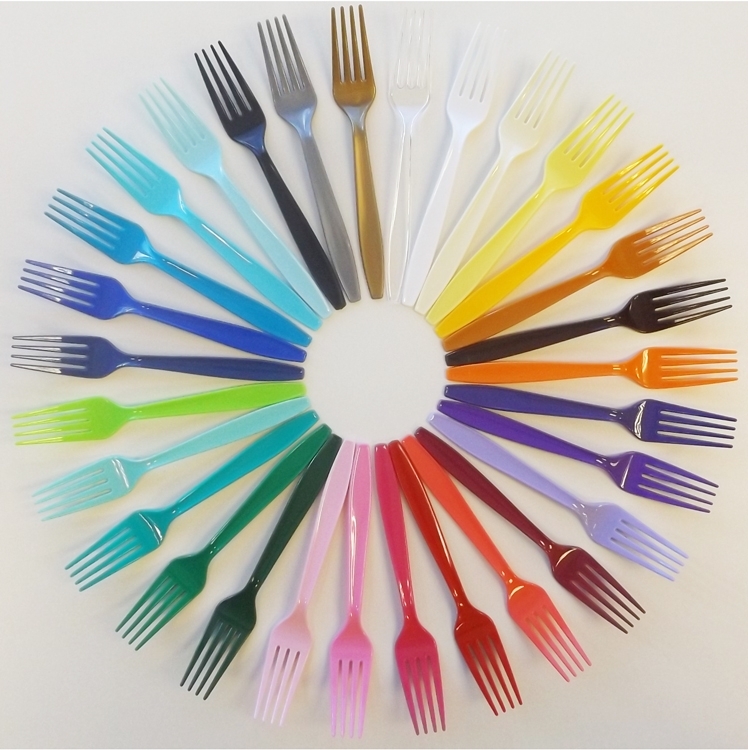 Sturdy plastic cutlery available in 30 different colors. 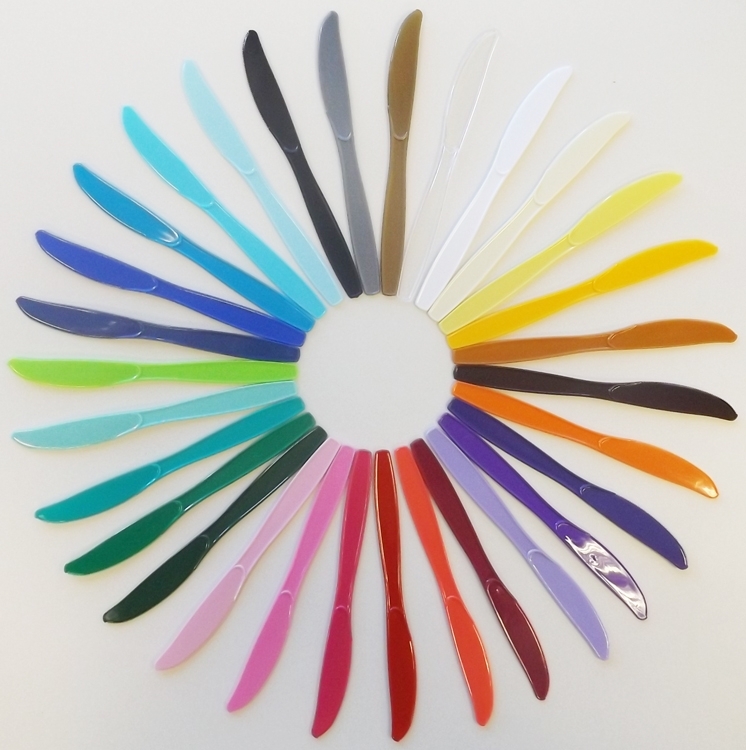 See "PRODUCT OPTIONS" for color choices. 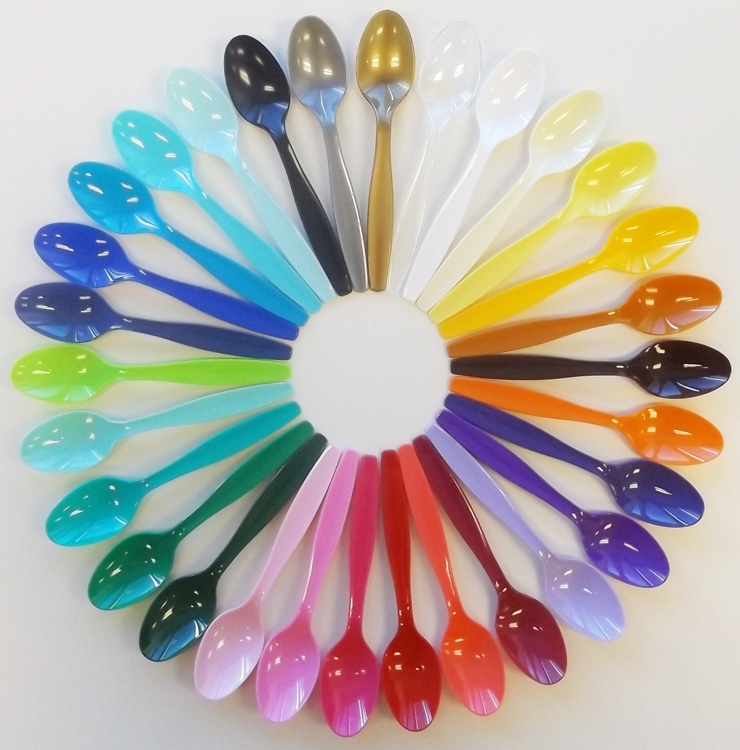 Sold in full cases of 288 pieces. 12 packages of 24 count.